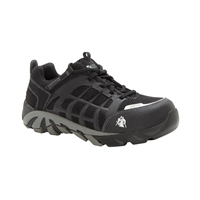 The Rocky TrailBlade Work Shoe is for those who want the comfort of an athletic style shoe when they are on their feet for long hours. 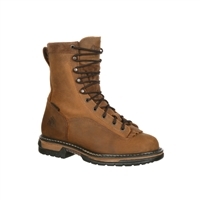 The Rocky AlphaForce Composite Toe Work Boot offers safety, comfort, traction and lightweight flexibility. The Rocky BlizzardStalker boots will keep your feet warm and protected during the cold frigid temperatures. The women’s Mobilite steel toe boots are built with Rocky Boots’ superior Rocky Waterproof design. 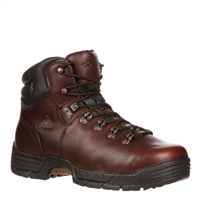 The Rocky men's AlphaForce footwear gives you comfort, safety and performance when you are on your feet for long hours. 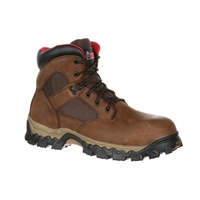 The 6" Rocky Mobilite work boots are fully equipped with what men need to succeed on the job. The Rocky IronClad are a durable boot with stable construction.